Argentina, the eighth largest country in the world, is located in the southernmost portion of South America. 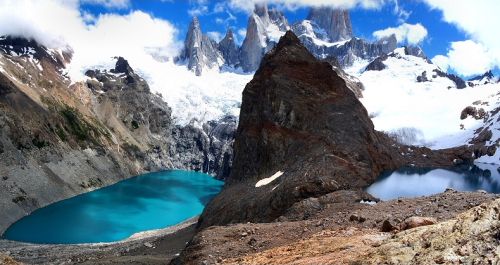 The Argentine lands are marked by the rugged mountains of the Andes on the west, the fertile central plains of the Pampas, the oil rich southern plateau of Patagonia and the subtropical northern flats of the Grand Chaco. Argentina is home of Mount Aconcagua, the highest point in the western hemisphere, and Laguna del Carbon which is the lowest point in South America. The capital of the nation, Buenos Aires, is the second largest metropolitan area in South America and it is known for its European-style architecture. Argentina is widely known as one of the most progressive states in Latin America. In Miss World, Argentina had years of glory since its debut in 1959 until 1987. The nation produced two winners -Norma Cappagli (1960) and Silvana Suarez (1978)-. No Argentine representative have placed in the semifinals of the pageant since 1987. Josefina Herrero, Miss Mundo Argentina 2012, will try to break the drought and place for the first time in 24 years. The Times of Beauty proudly presents Josefina Herrero, Miss Mundo Argentina 2012, in an exclusive interview for our interview series, Meet the Misses. Argentina is a great country with beautiful places to visit, with four types of climate and people that are known to be warm and supportive. It is a large melting pot, because of the large immigration from other countries. In Argentina there are prominent people like Diego Armando Maradona, the best football player, and now, Lionel Messi. Maria Eva Duarte de Peron, who demanded women's suffrage. Carlos Saavedra Lamas, who won the Nobel Peace Prize in 1936 for his role in resolving the conflict between Bolivia and Paraguay. Bernardo Alberto Houssay, who won the Nobel Prize in Physiology or Medicine in 1947 for discovering the role of the hormone of the anterior lobe of the pituitary in the metabolism of sugar. Luis Federico Leloir, who won the Nobel Prize in Chemistry in 1970 for his work in biochemistry to discover sugar nucleotides and their role in the biosynthesis of carbohydrates. Adolfo Perez Esquivel, who won the Nobel Peace Prize in 1980 for his work defending human rights. Cesar Milstein, who won the Nobel Prize in Physiology or Medicine in 1984 for the development of the hybridoma technique for producing monoclonal antibodies, among others. I was born in Mercedes, a city located in the center of the province of Corrientes. It is an ancient city, but very picturesque. People are very warm and very traditional. We are about 40,000. We have a great influence of the Guarani. One typical food is the mbaipy, the chipá, and dulce de papaya, which I love. My future plans are to study social communication and travel the world to exercise my profession. I am proud of my achievements, I honestly never expected such wonderful things to happen to me. I always dreamed but never thought I would go that far. They would say that I am a simple girl, humble, nice and responsible. Right off my mind, probably not. Yes, I was handed the flag of the Argentine nation for having the best average score at school. For me it is worse never try, because if you fail, at least you got a clear conscience that you tried and also learn from the mistakes. If I could teach something to humanity, it would be helping others and giving without expecting something in return, as today, people are busy with their problems without looking at their surroundings, there's too much selfishness and individualism. Beauty for me is beyond physical. It is a set of things, such as attitude, education, personality, behavior and values, among other things. I'm taking some classes of etiquette, speech, language, and doing physical training. Personal Motto: There is no second chance for a first impression. Favorite Song: The Scientist, Coldplay.